This is where you can be really unique. Block and brick paving designs are unlimited. Each style and type of block paving stone or brick is available in a range of colours and textures which allows you to insert unique designs into a driveway or patio. With the addition of octants or circles, there is so many features that can be created. 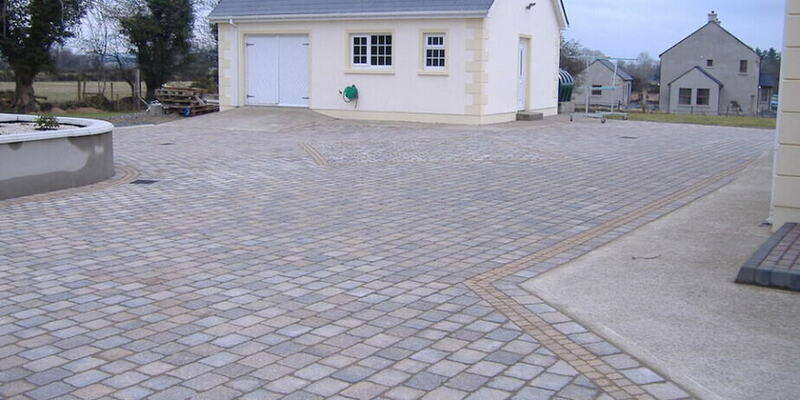 This can be extended upon with the use of kerbs and edgings to create even more block paving designs & patterns. 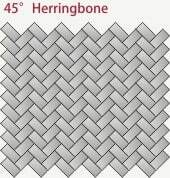 Herringbone paving patterns are constructed from 2:1 blocks, eg: Tobermore or Kilsaran paving block. This means the bricks are twice as long as they are wide. 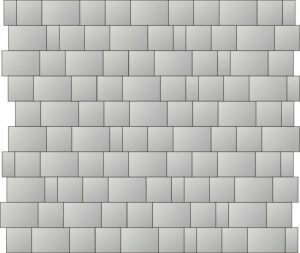 Interlocked and laid at an 90° herringbone or 45° herringbone the layout can be individualised with subtle colour changes in blocks and/or the use of pattern features such as circular paving. 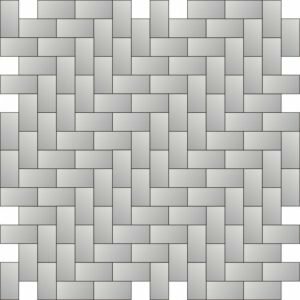 Stretcher bond and basketweave patterns are used for pathways or patio areas with only light foot traffic. These block paving patterns can be combined with other features to create a beautiful patio. A staggered stretcher bond is a pattern utilising several different size bricks. 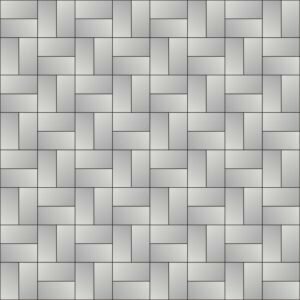 This pattern is widely used with Kilsaran and Tobermore cobble blocks as they automatically are designed to stagger and give an older blended effect.